After the success of its last edition in 2015, ACHEMA, the International Exhibition-Congress on Chemical Engineering, Environmental Protection an Biotechnology, returns to Frankfurt (Germany) from June 11 to 15. The event, that has established itself as one of the most important fairs of the process industry, will have more than 166,000 participants from more than 100 countries. 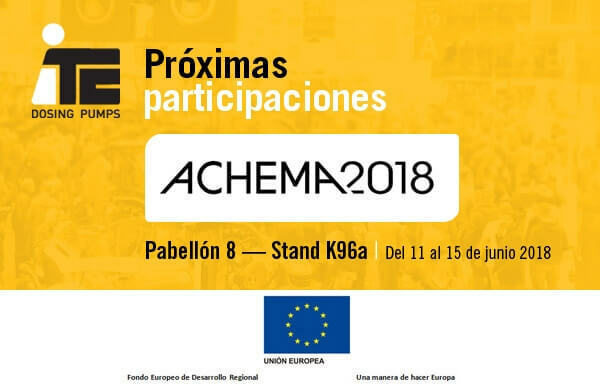 We invite you to visit us in Hall 8, Stand K96a where we will present our innovations for the sector. Subscribe to our newsletter and stay updated on ITC’s latest news.